A moving obituary evokes the spirit of the deceased with telling details and speaks to the universality of loss. In a tribute to Madelyn Linsenmeir that appeared last week in Seven Days, Kate O'Neill went further: Using her late sister's struggle as an example, she explained the tragedy of drug addiction with honesty and empathy and encouraged people working in the field — nurses, cops, prosecutors, counselors — to examine their biases. Fueled by social media, her words raced around the world. Hundreds responded, inspired by O'Neill's eloquence, to share their own stories and those of drug-addicted sons, daughters, nephews, husbands, wives, mothers and fathers. In the course of a week, Seven Days received nearly 1,000 online comments — the most on anything we have ever published. This small sampling of the outpouring verifies the magnitude, pervasiveness and cruelty of the opiate crisis. Maddie's story has touched home for me. My 27-year-old daughter died the same day, the same way. She has been battling her addiction since she was 16 also. I wish I had the strength to speak out the way you did. The day your girl died, I was calling 911 for mine. It's heartbreaking to watch. She's alive, for now, but merely existing to her next fix. We are fortunate enough that when her baby was born addicted, we as grandparents were able to bring him home and eventually adopt him and raise him as our own. I know we are not alone in this struggle, but to hear a story so similar to our own really, really helps. This is the most real and beautiful obituary I've ever seen. To whoever wrote it... Thank you for not hiding drug addiction in the shadows. Thank you for speaking from your heart and shedding light on the subject affecting the country. I have never read a more moving obituary or one that embodies addiction so well. I lost my little sister 18 years ago to addiction. Your description of Maddie reminds me very much of Susan, who was smart, energetic and relentlessly funny. She had a knack for making me laugh with just three words, and I miss her every day ... I remain hopeful that treatment options will improve, and that our world will gain a clearer understanding of this condition. I've lost two sons in three years. They were both 35. Damn. That hurt to read. Seeing the words on a page and feel their sting can't possibly compare to living them. Please know that her life continues to give, as it has given me pause and a desire to reach out and help. Watched my brother battle addiction for years. Sadly he was found dead last Tuesday. I lost my son 3 weeks ago as he also struggled with addiction. We don't know what it was that killed him, he died while sleeping and we have to wait on an autopsy. I am heartbroken and don't know how to move on. The words you wrote were beautiful! I was ready to pre-judge, say just another "dead drug addict" story, but no... God bless this young woman, her son and family she left behind and from age 16 on, never really knew inner peace. That was the most beautiful obituary I have ever read. I too, lost my 33-year-old son to this demon. I am so sorry for your loss. I feel your pain and it breaks my heart. Thank you for this masterfully written, candid, glowing and sorrowful tribute. I do not know Maddie and I devoured every word — captivated until the very end. In this piece you have captured the humanity and torment that real people with this terrible disease suffer. I am a nurse from Canada and our public discourse around addictions is ongoing and laden with judgment. Today, I shared this wonderful obituary and challenged any who read it to keep Maddie in their mind. If we remain unable to see the pain and suffering of real people trying desperately to escape the haunt of this powerful disease, we will never truly find resolve. From the bottom of my heart — thank you for giving so fearlessly of her story. I do not know Maddie, but this obituary could have just as easily been written about my own daughter Jessica who lost her battle on July 28. The only peace I will ever get from this experience is that she is no longer in pain, no longer feels the shame put on her because of her disease and its stigma. We read this at our treatment group this morning. There was a lot of emotion while reading it ... Very touching. This tribute to Maddie was profoundly written, articulate and capturing. She was beautiful, smart, adventurous, loving and full of life. But that wasn't enough to save her ... As the mother of an addict I know all too well her struggles and yours. I have felt every possible emotion on this roller coaster ride from hell. I feel every day my son is alive ... is a gift. When my friends lose children to this disease, I not only feel deep sadness but also guilt. I wonder why it wasn't my son this time. I know that sounds crazy ... or maybe each time I hear of a loss, I feel I will be next. Most obits say "she died at home" or "he died suddenly but peacefully" ... It's not helping. Everyone knows a 30-something doesn't just die for no reason. Refusal to discuss the cause of death implies shame or a need for secrecy. This beautiful obituary should serve as an example. I, too, have an addict who sounds very much like Maddie ... He will be getting out of jail next week and I am dreading it already. When my time comes to write his obituary, it will be truthful as was yours. Wow! What beautiful words! I lost my husband the same way in 2012. Not everybody knew of his addiction, so when he passed it shocked a lot of people. I didn't want to tell people, but I did. Now I want people to know the dangers of trying just one pill — or hit. I am so sorry for the loss of this vibrant soul from your world. Your beautiful words about her have gone viral for a reason, and Maddie's death will not be in vain. The world needs more families like yours. Your Maddie sounds eerily similar to my Jennifer, the singing, funny, sunny young girl, graduated with honors, went on to college for business. Gave birth to my first grandson then Jenny too tried OxyContin and started her struggles with addiction. 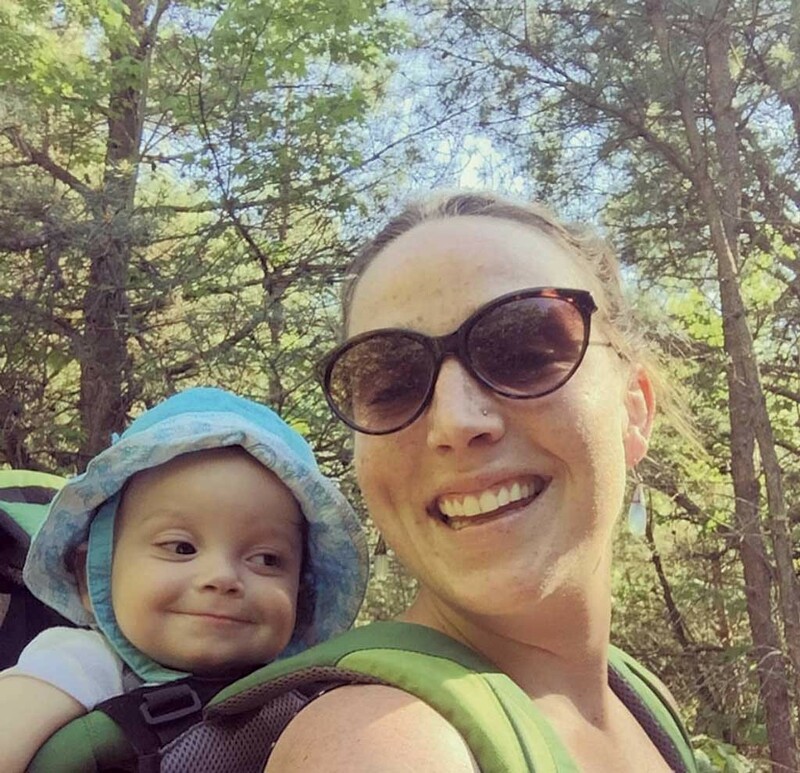 She fought long and hard ... then had a short breakthrough and became pregnant, gave birth to a beautiful boy who was stillborn due to cord strangulation. My beautiful little blond haired blue eyed girl dove deep down in depression after this, but once again fought her way back and gave birth to another beautiful boy ... her love and life. While he was just a baby the addiction came back with a vengeance! I am now raising the little love of her life while she hides in hotel rooms and stairways, never answering calls, avoiding our every contact. Sometimes I raise my fists at this world that took my beautiful giggly girl, then I just pray for God to keep her alive and safe ...hoping one day she will make it back to us again. It sounds like Maddie was truly a shining light in this often dark, cold world. Unfortunately being an addict myself I know the deep wounds of addiction. I'm glad to hear your family stuck by her during all the ups and downs. Maddie's story ripped a hole through my heart because it reminded me so very much of my own son Danny. We lost him 13 years ago and the pain remains the same. I have learned to live around it but the memories of his struggle with his addiction will haunt me forever. How hard he tried to stop and how much he hated the pain in the eyes of the ones who suffered because of his addiction. They never meant to leave us. They never meant to hurt us. Thank you for sharing Maddie's story. We lost our 32-year-old nephew Michael on September 7, 2018. He was a father to two boys. Thank you for putting into words Madelyn's struggles in a way I couldn't for my daughter Alyssa. She died in my arms this summer having relapsed upon returning home after a few weeks. Madelyn and Alyssa's story is so similar to so many others struggling with this horrible disease. Thank you. I lost my son, Tim, to the same disease on September 29. I love him so and I am grateful for the people in his life that saw beyond his disease. My heart used to break knowing that people couldn't see past his addiction. Your message was so eloquent and accurate. There are no words to thank you enough for sharing your love and grief for Maddie. This is the most beautiful obituary I have ever read. You so adeptly captured the struggle of addiction, and yet portrayed Maddie in her own light. She was blessed to have such a wonderful family surrounding her. I work with individuals struggling with addiction every day, and I watch as the world judges and turns its back on them. We need more people to prove to the world that these "addicts" are more than their disease. Thank you for your transparency and your strength. This will inspire someone to seek help, or change their mindset. I lost my daughter from a heroin overdose in 2015. She was 25, and she too left a son. He was 1 at the time. She fought, but these drugs are bigger than our children. My heartfelt condolences are with you. Maybe our daughters can be friends in heaven and talk about their sons. Peace is finally with them. This was so beautifully written. I understand every thoughtfully written word, as I lost my beautiful, kind, warm and intelligent son one year ago to this same horrible and relentless disease. Thank you so much for writing this. As an addict, I feel like it is hard for others to see my peers and I as anything other than "junkies" when we are so much more than that. Much like Maddie, I am a sister, a daughter, and an aunt, amongst many other things. Thank you for taking the time to realize that your daughter was more than her addiction and thank you for being brave enough to write such an honest and open obituary for your amazing girl. I know that nothing will replace her, but I hope you can take solace in knowing that you gave this "junkie" just a little piece of hope in a sometimes bleak and overwhelming world. Please accept my sympathies. I am the daughter of an addict and I've lived this pain. You've done a wonderful thing in memorializing Maddie in this manner. There is comfort in knowing you're not alone in your struggles. My daughter Sarah died 4 years ago and her story is very much the same. She tried OxyContin at 19 and spent the rest of her life struggling until she died at 28 ... Sarah took care of her children until the very end, when she brought them to me. And then one day she just slipped away, right thru my fingers and was gone. One of the hardest things for a parent is the inability to protect a child with a dangerous addiction. It is truly heartbreaking to watch and live through. I work as a drug treatment court coordinator. You have inspired me to continue the good and heartfelt work I do every day, with others just like Maddie. I will print her obituary and place it in my office, as a daily reminder about the importance of the work we do for people just like your daughter who deserve every bit of compassion and caring we can provide to them to support them in their journey to recovery. My son is an addict. He has a beautiful little boy that I am raising because my son chose the drugs over his baby. It's so hard to hear him talk about how much he wants the drugs, how powerless he is to overcome the urges. He's been in and out of several rehabs, detox centers, and sober living homes. He has called us in the throws of a meth-induced psychosis, leaving us to wonder whether he would even survive the night. I am a neuroscientist and we are working hard to identify the neurobiological processes that allow drugs to take control of one's life. I truly hope that we can figure this out soon for you, Maddie and Ayden. I lost my beautiful wife Carla, and my two children lost their loving, caring mother on August 31 from an overdose. She'd been fighting the addiction for years and simply could not overcome the grip of prescription drug addiction, which, strange as it may sound, doesn't require a prescription to obtain. The internet can get an addict anything they need and up until a week ago ... weeks after her passing ... she was getting texts from overseas pharmacies offering "25% off!" Ms. O'Neill and family, thank you for the strength and courage to share this story which unfortunately affects so many "normal" lives every day. As for my wife, and children's mother, we miss her dearly, but hope now she is at peace. Drug companies need to be held accountable for this horrific epidemic. Where is the political will to make that happen? This touched my heart and very close to home, for I also lost my daughter to an overdose and left two beautiful children. Addiction knows no boundaries. My heart goes out to Maddie's family. I am a mom who has lost two sons suddenly, one to an opiate overdose. My Matthew had many good qualities and it was heartbreaking that he could not know how much the world needed him. He was about Maddie's age when he died in 2014 ... he was 28. Yours is a beautifully written obit. Maddie is the face of every person struggling with this disease and I pray that this world becomes more compassionate to help heal those in need. I have never been so touched by an obituary or a life story as this one. My heart hurts for Maddie and her family. I am a social worker and I think this obit should be included in a training manual so that workers can get the compassion they need to work with people who need their help. While I did not know your beloved Maddie, I understand what you're facing. I lost my older brother this year to an overdose. He was only 35. Some days I wake up and forget that he is gone and then that wave of grief hits me like a ton of bricks. As a future health care provider, I will remember these words and the life of your daughter when working with patients whenever I am tempted to label someone as a "junkie" or "addict." Thank you for this lesson in compassion. This time last year we said goodbye to my 30-year-old nephew Derrick after many years of struggling with addiction. I had the difficult job of writing his obituary, and like your family, we also decided to speak the truth about his death. I believe that if more families spoke the truth that it would send a message. However, I know that with the truth comes embarrassment, which is something that we struggled with, too. In the end, the outpouring of love and appreciation that our family received solidified that we did the right thing. Derrick, like Maddie, didn't die in vain and hopefully someone dealing with the same struggles will read their stories and make the choice to fight the addiction and get clean. I can relate. I have been clean for 16 years. It never completely fades. It's a lifelong battle and you either win or lose. With that being said I am struggling with an addict son knowing that there is nothing I can do except pray. Like you, when I look at my son I still see my beautiful child in there under that beaten and worn-down shell that he wears today. I don't know you or Maddie, but thought this was a beautiful, well-written tribute. So many people shy away from mentioning that a loved one's death was related to addiction. Then people gossip about it or feel awkward. I love how you were open about it while still honoring the true person behind the struggles and trials. I'm not sure why I even clicked to read this, but am glad I did. I am a teacher, and hope you won't mind if I use this in my classroom. I want my students to stand firm against experimenting with drugs and to embrace people who have been sucked into dependency — or at least give them a fair chance. Thank you for sharing. I shared this with my 16-year-old daughter, and we cried together. Perhaps this heart-wrenching, tragic account will help us all see the need to stand together to fight the pharmaceutical industry that produces this addictive drug that continues to consume the lives of so many. Maddie clearly had an impact on those around her during her short life. But in death, her story has had an impact on thousands and thousands. Perhaps her loved ones can take some comfort in that. Rest now, free of pain, Maddie. When Kate O'Neill wrote an obituary for her sister, Madelyn Linsenmeir, she never expected it to be read by millions of people around the world. More than 1,000 readers left comments on the obituary, published on the Seven Days website. The outpouring verified the magnitude, pervasiveness and cruelty of the opioid crisis. But it also pointed out how many stories we, the media, are missing. So we hired O'Neill to spend the next year finding and reporting on them.